Well Done Dan300!!! i too hope to join that club.....oneday anyway! Way To GO Dan! Great Game and Series. Congrats on your 1st 300 Dan! Once you get one they seem to come around a little more often. Way to go Dan!!! That must be an awesome feeling of accomplishment...hopefully one day I can join you in the club. Congrats again!!! Your story is like mine, except that I still haven't managed to get that perfect game. I will get the first 8 or 9 (my record is the first 10) and then I'll mess up. Oh well, I know I'll pull through like you did someday! Cherry Vibe - 16 lbs. Wrath High Flush - 16 lbs. Zone (plastic/spare) - 16 lbs. Congrats on the 300 Dan! Now are Dan300 for real. Hey thanks everyone. The glow is finally starting to wear off. Now I gotta track down the secretary and see about getting my ring. He was supposed to meet me at the lanes last night. Alas. I had to fill out my own award application when I bowled my 300 a couple of seasons ago and just got the Sec. to sign it. 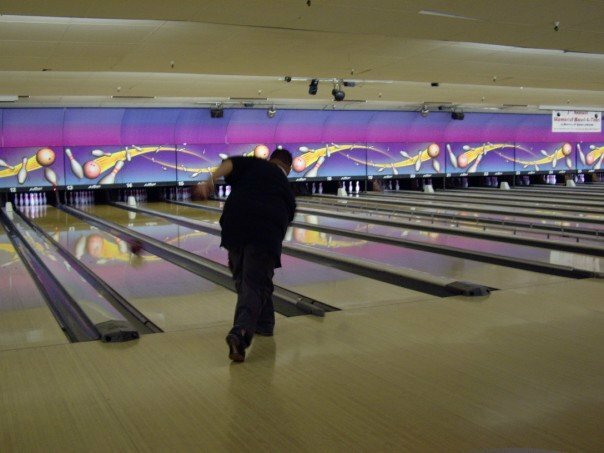 At least is was easy to turn the application in as the local association was in the same center I bowled the score in.